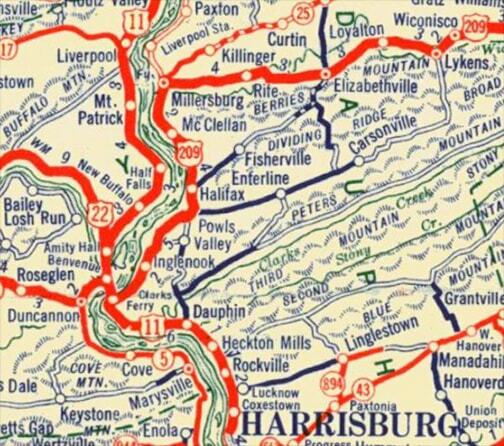 Those routes go left across the bridge and up the Juniata River valley. 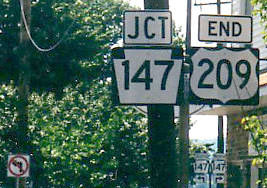 PA 147 begins there by continuing north along the Susquehanna. 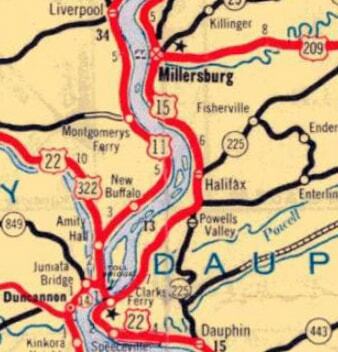 That was the original south beginning of US 209. That is looking south on Ulster. Originally US 9W continued south by staying to the right on Ulster, but then US 9W was changed to follow the left fork. 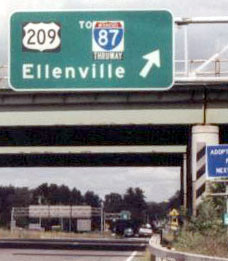 At that time, US 209 may have begun to the right. The mainline itself continues ahead as NY hwy. 199. That goes east across the Hudson River and connects with US 9 in the Rhinebeck-Red Hook area... which makes one wonder why the US 209 designation does not extend a bit further ahead, in order to junction its parent route.